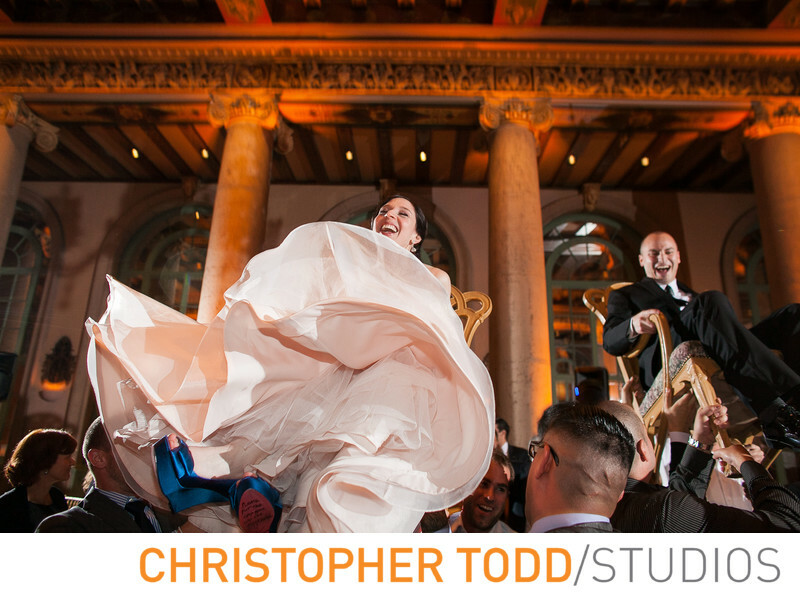 After the couple made their grand entrance into the ballroom at the Biltmore Hotel they danced the traditional Jewish Horah. The bride and groom were raised up in chairs. You can see the brides blue wedding shoes she wore. 1/50; f/3.2; ISO 800; 24.0 mm.